If you’re already familiar with the information below, you can fill out this second survey now. 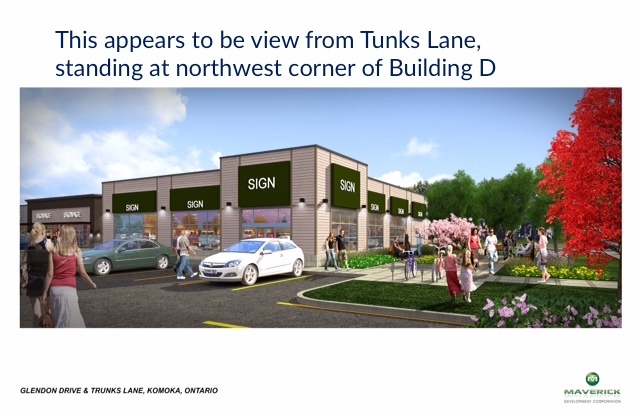 The reason for this evening’s zoning by-law amendment variance request is that the developer is asking Council to reduce the minimum requirement that 65% of the lot frontage of the property include building façades, from 65% to 32%. We got down to 65% after previously approving a reduction from 75%. 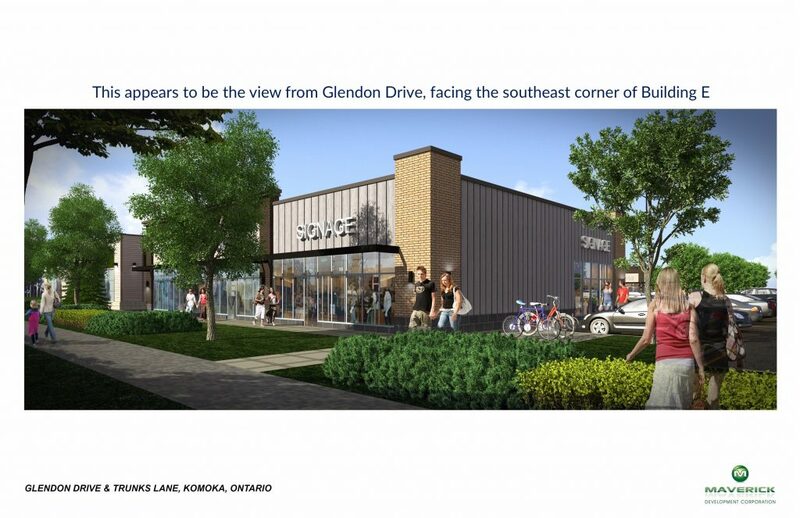 So, Maverick is essentially asking Council to approve a reduction from 75% building façades, down to 32% building façades fronting Glendon Drive. They also want to increase the maximum front yard setback from 1.5m to 4.75m. This is, obviously, a huge change and drastically decreases the municipality’s ability to achieve the vision for this property where you would feel like you’re walking in a nice, well-kept, urban environment with sidewalks, trees, and building façades near you. Think of the best downtown you’ve ever been to. That’s what all the Municipality’s aims and plans for this area are trying to achieve. 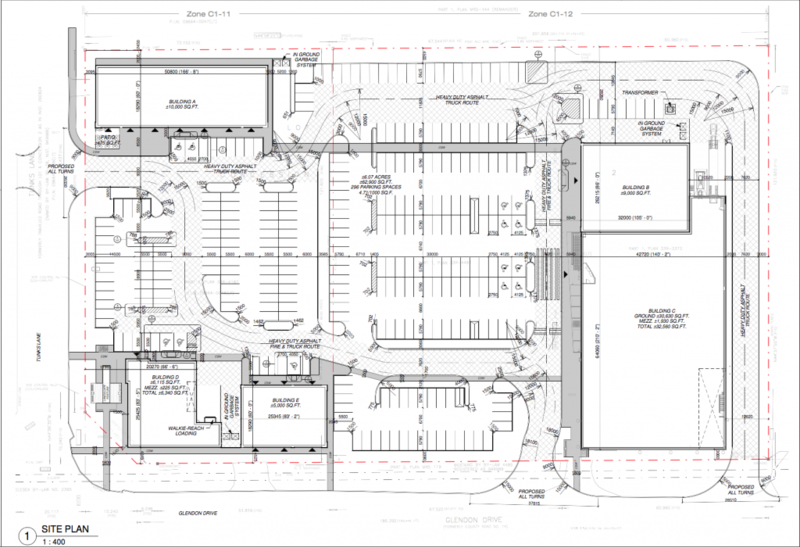 Yesterday I put out a survey that looked at a very simplified version of the current site and landscaping plan. Overwhelmingly, many people like the current iteration. That’s great, I’m glad folks like it. I wanted to put together a bit more information and context after reading the full motion to make sure I get a more holistic perspective from residents. Click the blueprint to view the full set of architectural drawings for the site, as currently envisioned by Maverick Developments. And here are the elevation drawings I was provided last week. 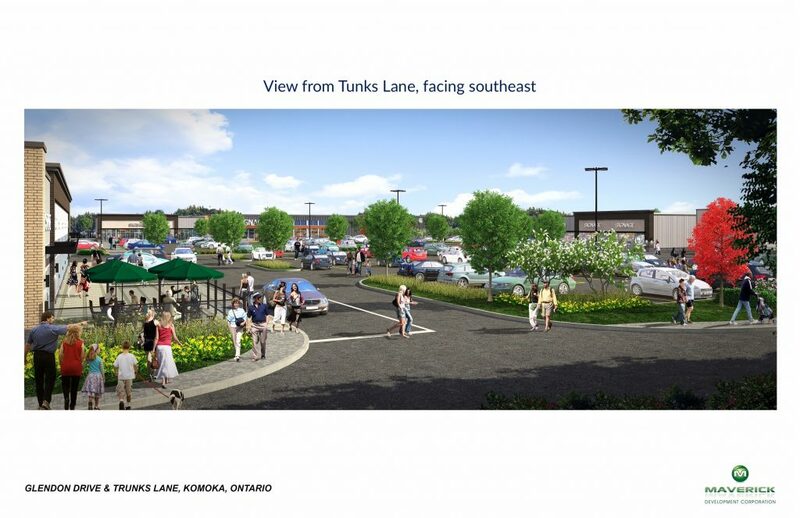 You can see that, for the most part, this is very much similar to the suburban plazas found in areas like Hyde Park Rd & Fanshawe Park Rd in London, and the Southdale Rd and Wonderland Rd S area of London.